Little known fact. 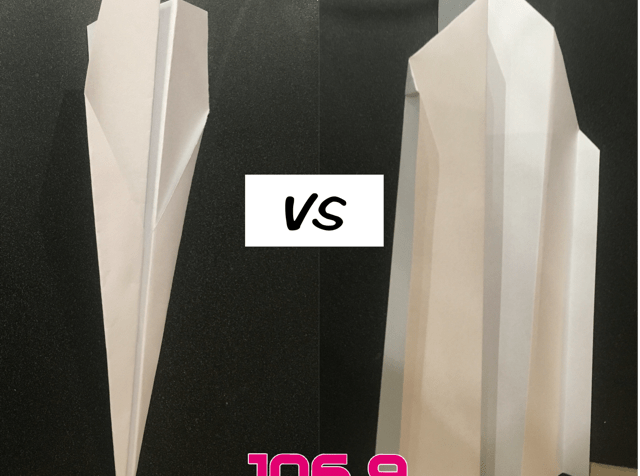 MJ is a paper airplane making queen!!!!! Seriously ask her about it sometime. 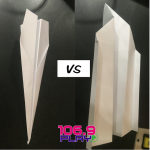 In honor of National Paper Airplane day we put her skills and Jesse’s lack there of to a test of accuracy. 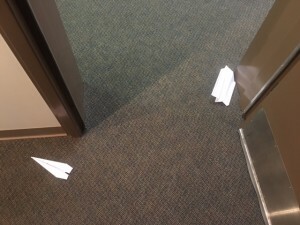 The person that could throw theirs through the door won. Proof that Jesse’s did technically win.